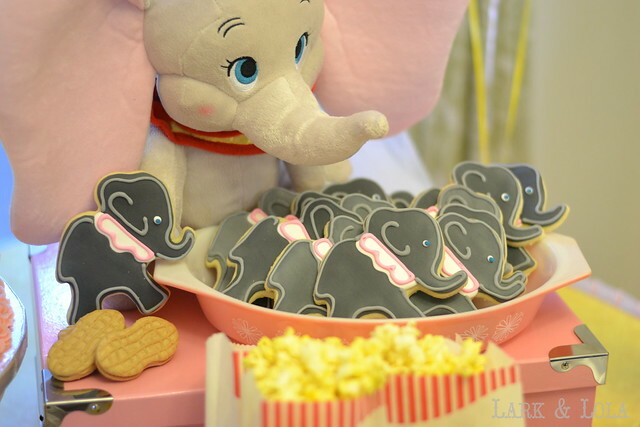 a Dumbo themed birthday party last week! It was so fun, and I had a great time creating this party theme. 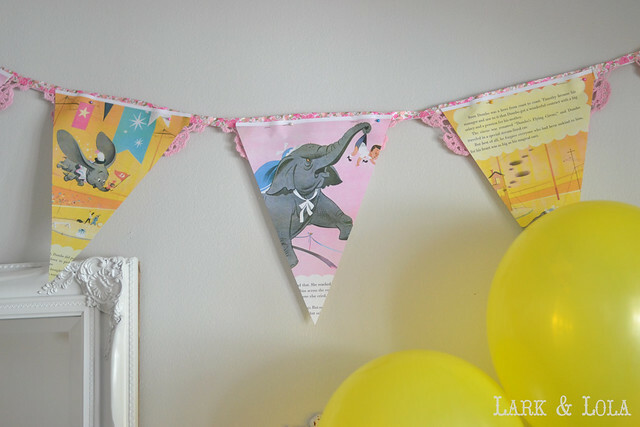 You can see a more personal post over at my family blog, Last Day Ago, but here at Lark & Lola I just thought I'd share some party details for anyone looking for some Dumbo inspiration. 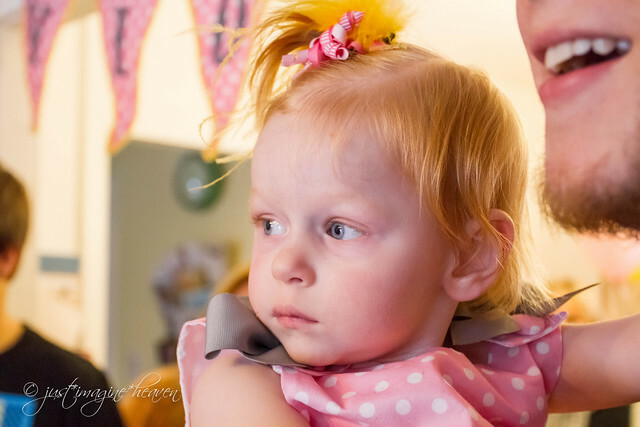 My daughter, Violet Grace, turns two! A Dumbo friend from the Disney Store helped decorate the table. I made her this birthday cake, I took cake decorating classes a few years back. 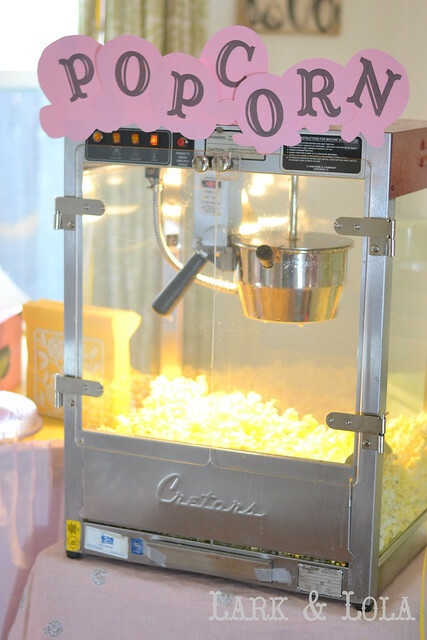 The popcorn machine we rented was a hit. With some paper goods supplied by Bon Fortune on Etsy. 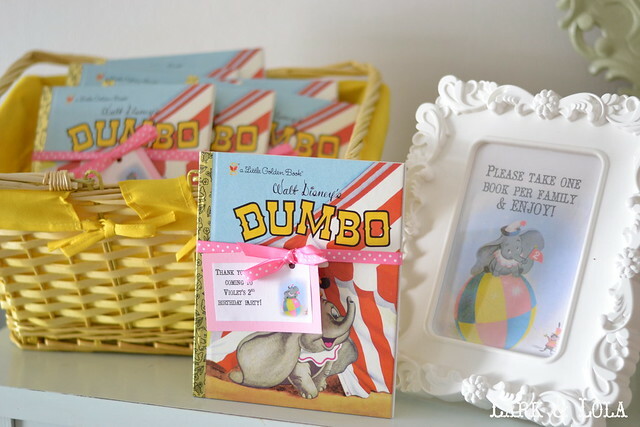 I decorated with pages from vintage Dumbo books. Don't worry, no vintage books were harmed in this process. 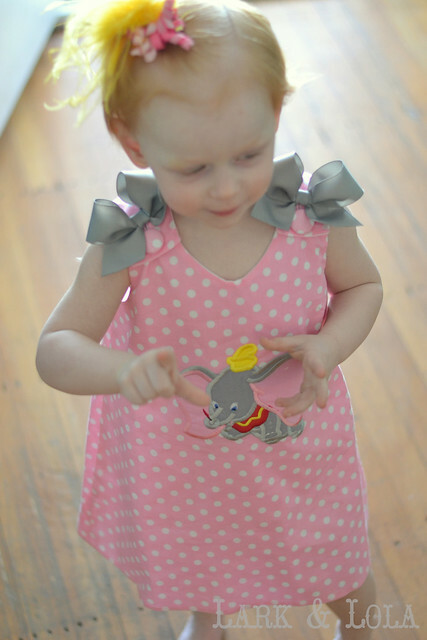 I ordered her special Dumbo dress from The Sew Princess on Etsy. 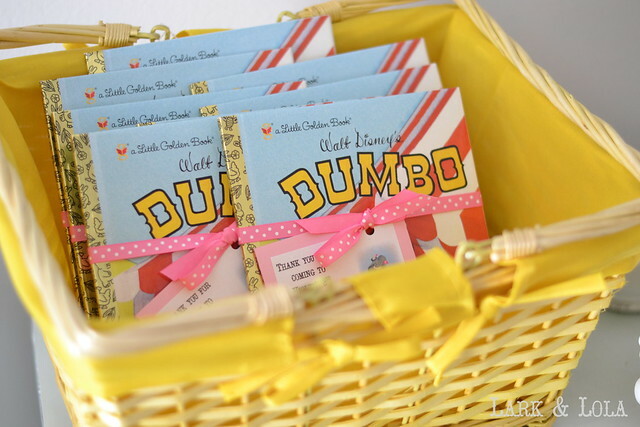 Favors were Dumbo books by Little Golden, ordered here. 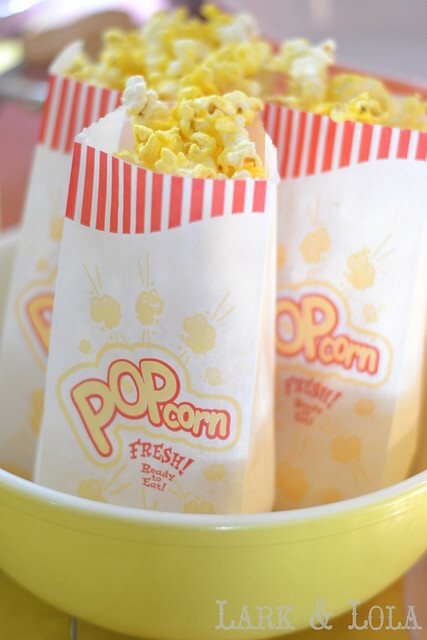 Very cute & easy family favors. I also had to get my hands on a 1950s version, found on Etsy. 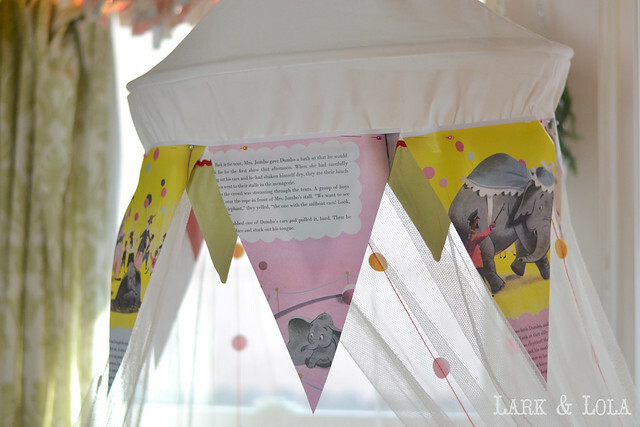 The pages of the vintage book also decorated this IKEA canopy. 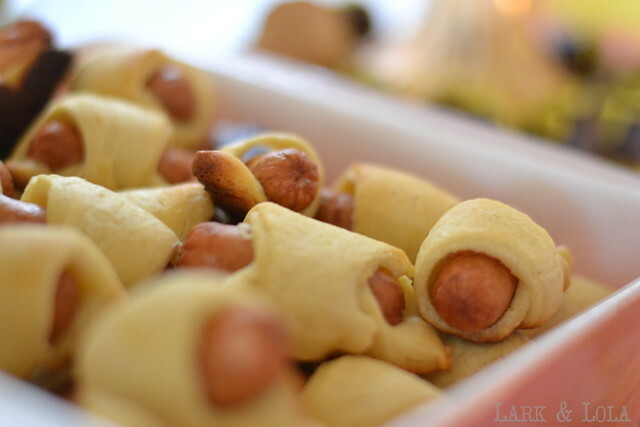 For easy food we served piglets in a blanket. The industrial looking machine was easily dressed up. A thrifted, vintage, Dumbo looking find. 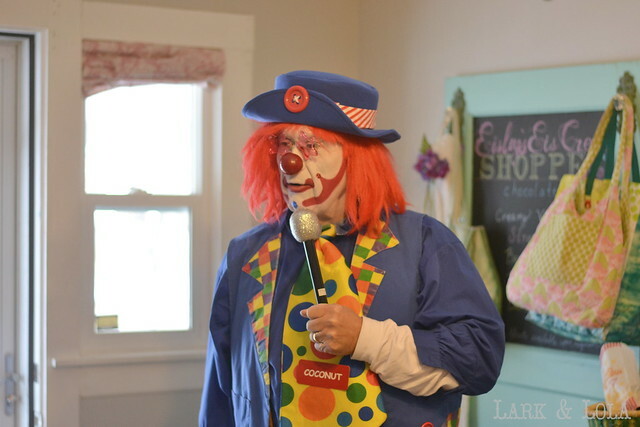 Yes, clowns are sometimes considered creepy. 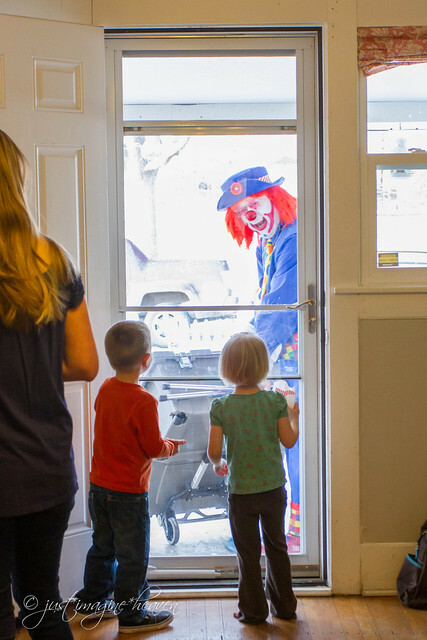 We hired one anyway. 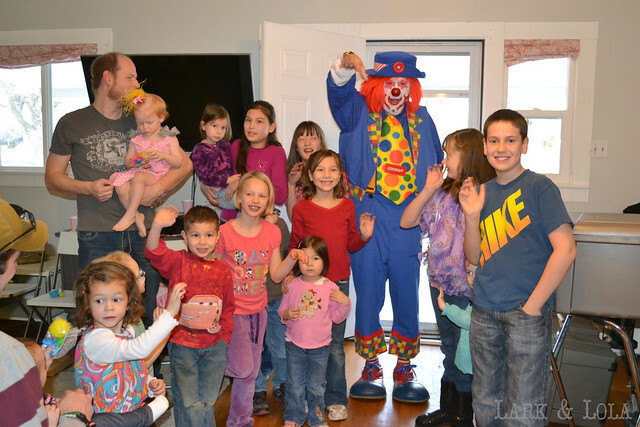 He was a HIT with the kids! 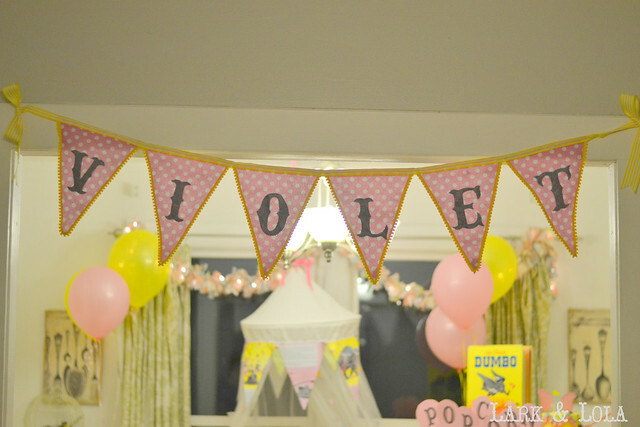 A Violet party bunting, I made this with felt and pom pom trim. 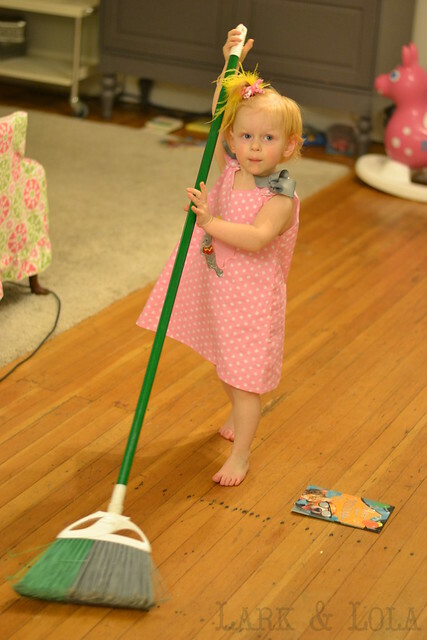 We made the birthday girl clean up. You can see more photos at my personal blog, Last Day Ago. Special thanks to my friend Jan for use of a few of her photos as well! 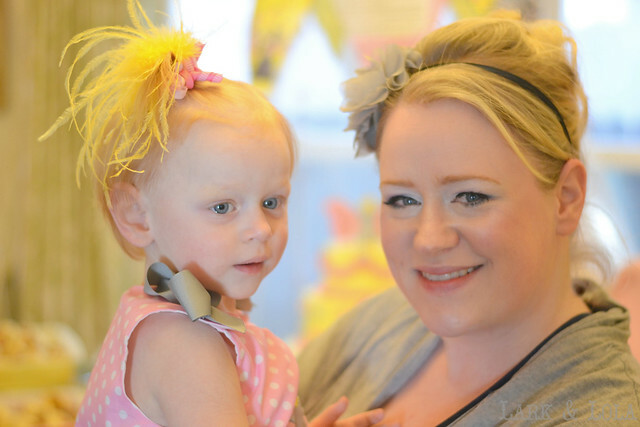 She did a special post about the Dumbo party also--thanks Jan! 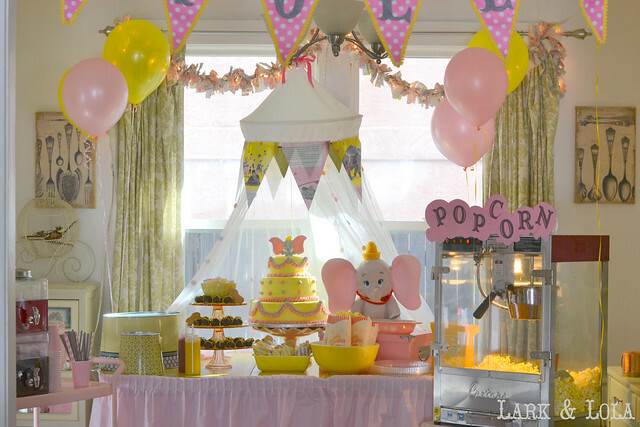 Loved the whole Dumbo party theme! 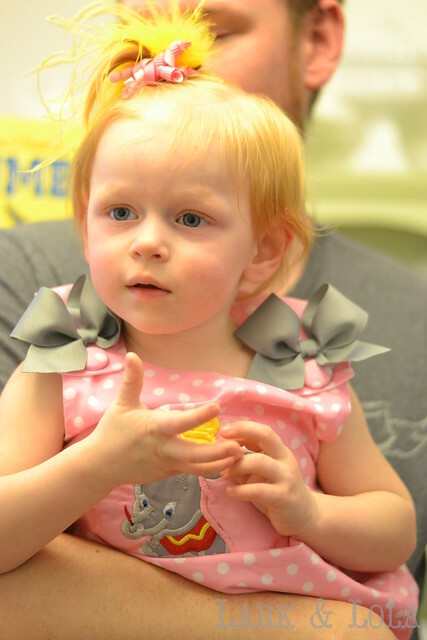 My little girl looks just like Violet, you wouldn't believe, red hair and blue eyes too!!! 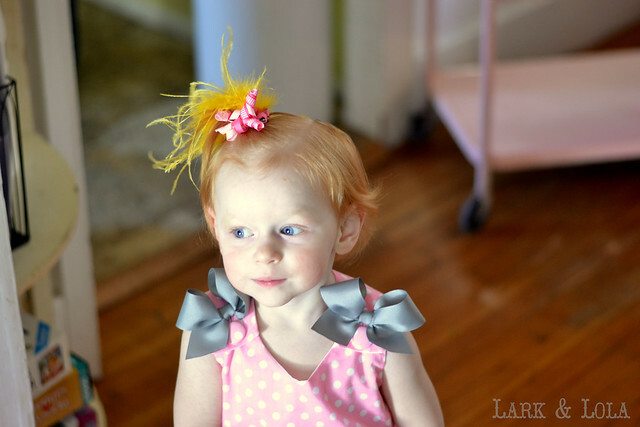 My little Lily Grace is almost 18 months and you are giving me alot of ideas for her 2nd Birthday, LOL. I am a stay at home mom and absolutely LOVE your blogs. Sometimes it's just nice at the end of a long day to see what you've decorated, or baked. I look forward to seeing more. Thanks, Julie Johnson, Union Grove, N.C.
Do you have a blog? I'd love to see it! Either way, thanks for stopping by and the lovely comment. HEATHER, Shut the Front Door! You have outdone yourself. This is stunning. 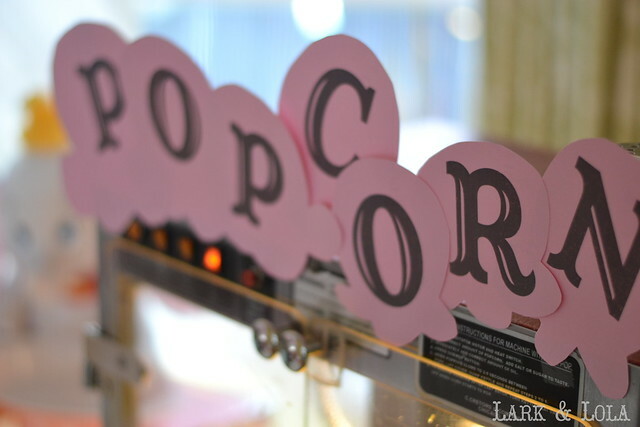 You need to start a party planning business or supply etsy shop STAT! Wow, you thought of everything! I love all of the attention to detail. Nice job! Oh my goodness! 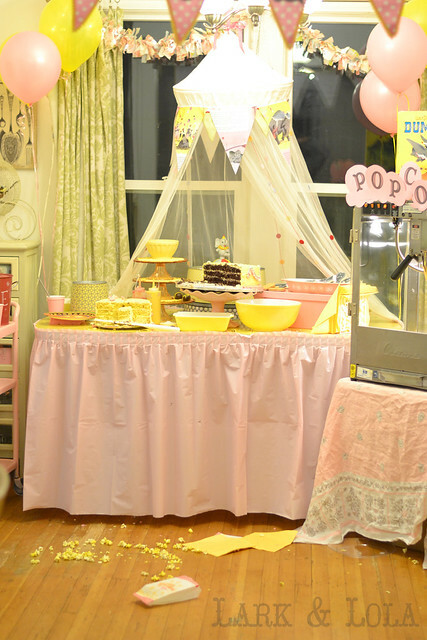 This is one of the cutest parties I have seen. So cute! Happy belated birthday to the darling little gal, too. PS, I am hosting a May basket swap and would LOVE to have you play along. I absolutely love everything about this party! 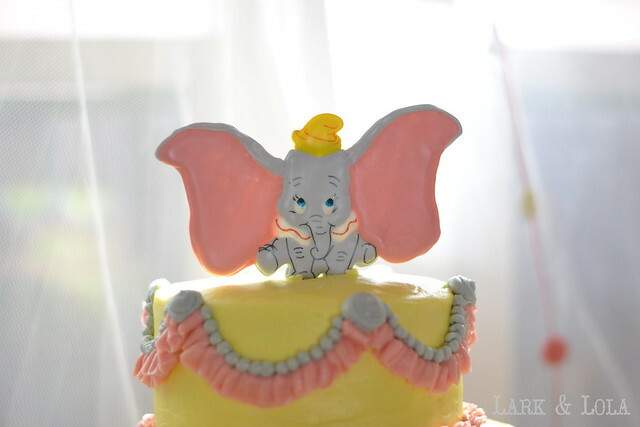 My daughter, who will be two, looooves Dumbo, so this will be our theme as well. Where did you get the cake topper? Did you make it? I love it! 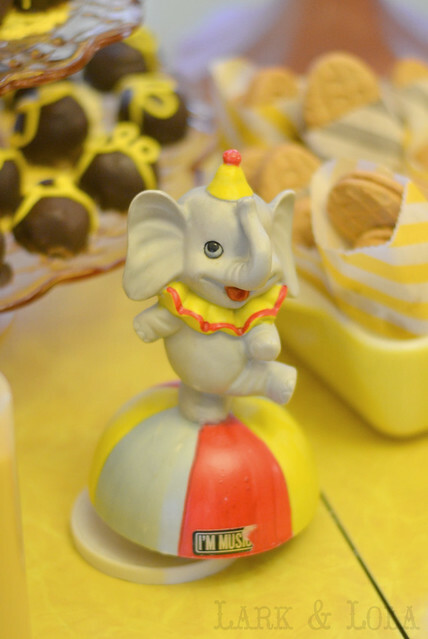 We did a dumbo party for my son's first birthday, we had the same ideas from favors to decorating with vintage dumbo books :) We did primary colors though, rainbow cake, and the topper, I used a hallmark dumbo christmas ornament! I LOVE the color scheme you used! First off the party is adorable! I was wondering if you would make another cake topper? 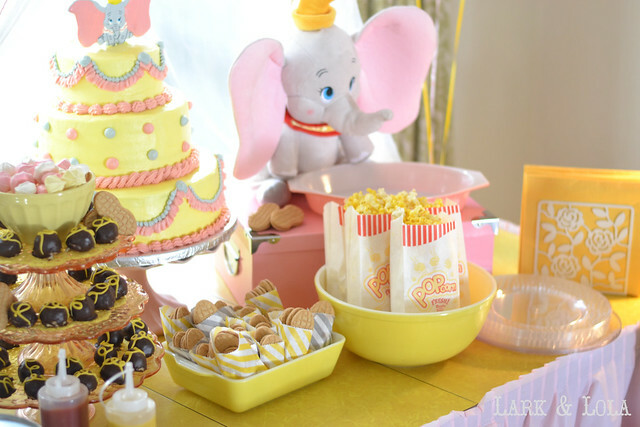 I am looking to throw a Dumbo party in about a month and I love that topper! 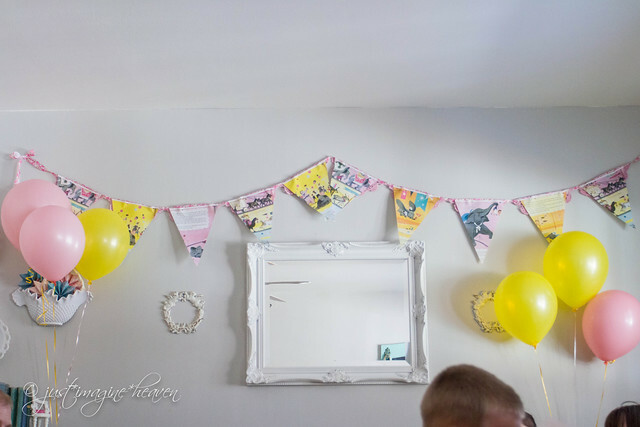 Amazing, my daughter loves Dumbo and I am planning a Dumbo theme birthday party for her 3rd birthday, and I have surely 'stole' some of your ideas! Love this theme. 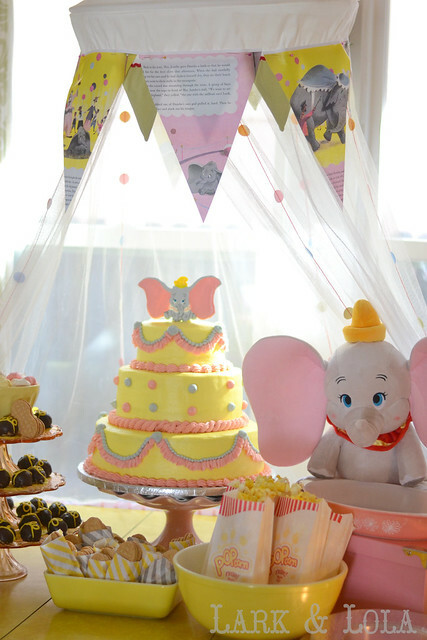 My daughter-in-law is planning a dumbo themed party for her daughter's first birthday and is using your blog as inspiration for some ideas. I am curious about the cake topper. I have done sugar cookies before and was going to give this a try - did you have a cookie cutter or can you give me any hints as to how you did this. This is probably one of the cutest ideas I've seen. Linda, thanks for the comment! 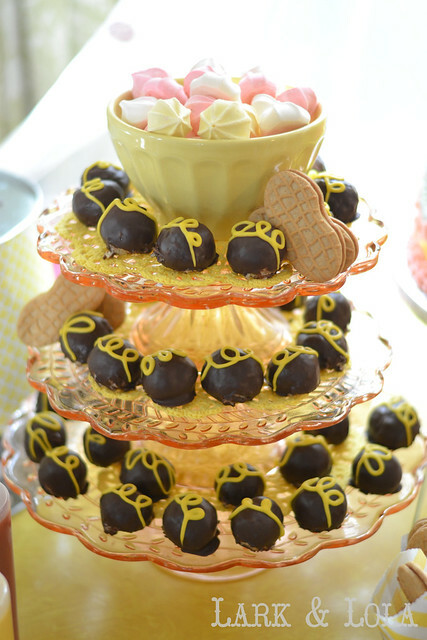 I made the topper in a similar fashion to decorated sugar cookies. But instead of royal icing I used color flow which is similar but better for this type of decorating. 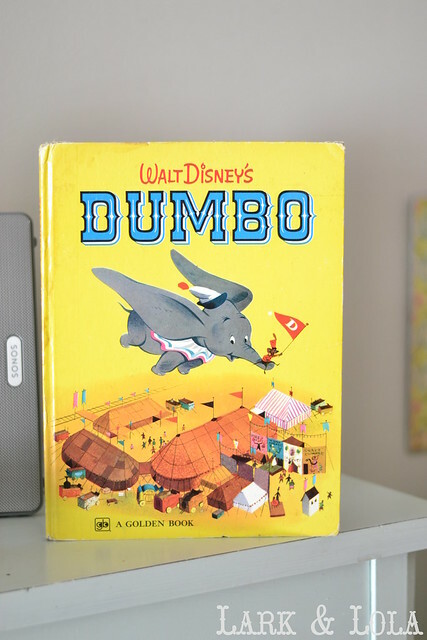 To make the Dumbo topper, I printed out a coloring book Dumbo image I found online and taped it to a car board, then I taped wax paper over it so I could see the design and pipe the color flow over it. I used food markers for the details, the eyes and such. I always make multiples because color flow can be fragile. 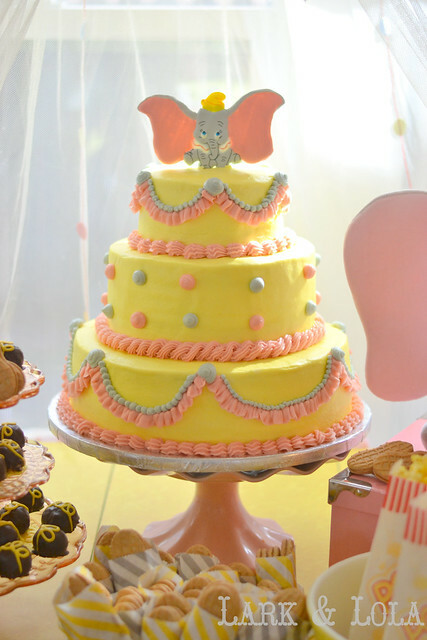 I piped two "pegs" of color flow at the bottom to attach skewers to so I could stand the Dumbo up in the cake. Color flow decor also needs to be made a few days ahead to have enough time to dry. Also, the best way to learn to do color flow decorations would be to watch some YouTube video tutorials! Seeing it done always helps me. Thank you so much Heather. One last question - once you did the color flow did you remove it from the cardboard. I'm going to You Tube but thought I would check first.